We love our papers and all the creative ways people bring brilliant projects to life. 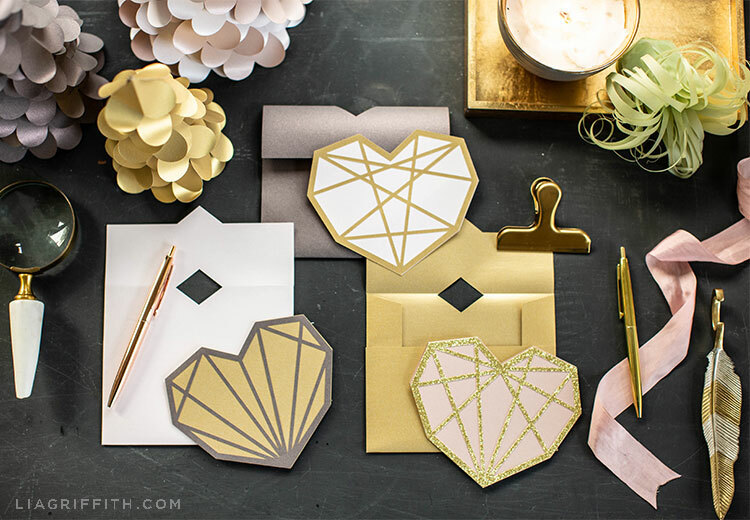 Metallic papers are very popular and loved by our customers. Metallics are versatile for many different types of projects and always looks good. The way that the light shines off these papers enhances the look of any project and gives it a new level of elegance. If you haven’t already, you can sign up at Lia’s site for a nominal monthly subscription and get hundreds of premium templates. You’ll find these projects and so many more high-quality tutorials with beautiful photos, template downloads and much more. Check out Lia Griffith’s blog for more creative ideas!